Why would you want to know about insulin? Seems an unlikely subject but actually, given the escalating incidence of diabetes in this country, which is linked to insulin resistance and the large number of health conditions associated with this condition, it’s worth understanding what insulin is and what it does in the body. 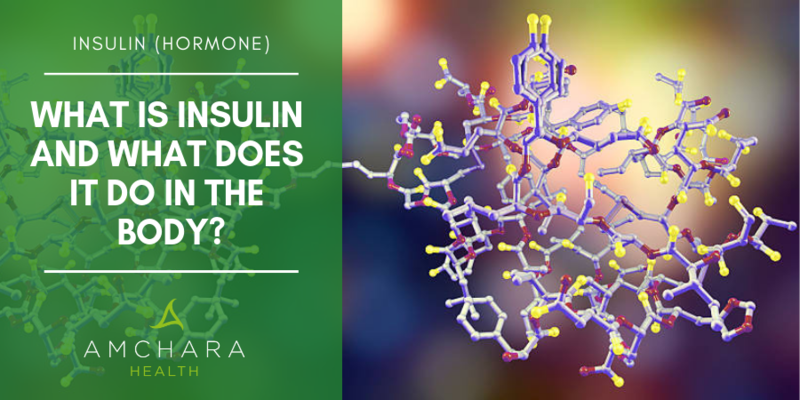 In this article, we give an overview of insulin, its actions, the health consequences of a deficiency of insulin and how you can try to prevent insulin resistance. Why does high blood sugar make you ill? Insulin is an anabolic hormone that promotes metabolic processes within the body. Insulin has two actions in the body. It is firstly excitatory, e.g. it stimulates glucose uptake and the production of fat. Secondly, it is also inhibitory e.g. it inhibits the break down of fats, proteins and glucose whilst also inhibiting the production of ketones and glucose in the liver. insulin’s well recognized action in stimulating fat production from excess levels of glucose is better known than its simultaneous inhibitory action on the breakdown of fats. Insulin is involved in helping your body to use glucose (sugar) from carbohydrates in the food you eat. The body uses glucose to generate energy or it stores the glucose in the liver and muscles for future use. Glucose stored in the muscles is only available for local use, (as in fight or flight) and cannot be transported for utilisation elsewhere in the body. Glucose can still enter the cells regardless of insulin levels – although insulin enhances the uptake. In a healthy person with normal insulin function, if there are excess levels of sugar in the blood, insulin signals the liver to hold on to its glucose stores for later use. e.g. when your blood sugar level is low or if you need more sugar, such as in between meals or during physical activity. Insulin also helps to facilitate the transport of glucose into the cells. Insulin is therefore necessary for maintaining normal blood sugar levels. As blood sugar levels rise your pancreas will secrete more insulin. If you have built up a resistance to insulin or cannot produce enough to regulate your blood sugar, you may develop hyperglycaemia as seen in diabetes. This state can cause long-term complications if the blood sugar levels stay elevated for long periods of time. Insulin resistance is a condition whereby the body’s cells, muscles and liver become resistant to the effects of insulin. Because of this, higher levels of insulin are needed so that insulin can exert its effects. The pancreas compensates by increasing the production of insulin until it becomes exhausted and can no longer produce enough for the body’s needs. Insulin resistance can be due to inherited (genetic) or lifestyle factors. The mechanism behind it is very complex and as yet, not fully understood. Insulin resistance results in raised blood sugar which is a risk factor for diabetes, heart disease and dementia. If sugar builds up in the blood circulation it promotes oxidative stress, which inevitably leads to inflammation and this causes damage to the blood vessels, both large and small. In addition to this high glucose levels are thought to decrease levels of nitric oxide, which is a powerful vasodilator, (it relaxes the blood vessels allowing for normal blood flow). High blood sugar, therefore, increases the risk of high blood pressure and eventual narrowing of the blood vessels. What’s more, nitric oxide helps to reduce inflammation, but it can only do this in the presence of insulin. 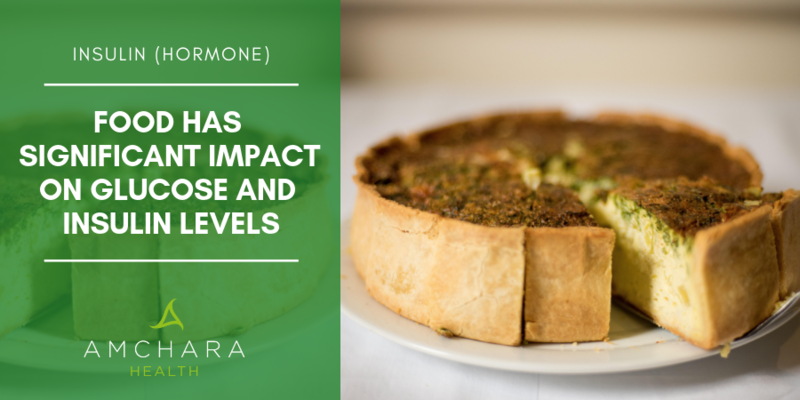 These combined factors resulting from insulin deficiency or insulin resistance can increase an individual’s vulnerability to blood vessel damage. Losing weight, exercising regularly, giving up smoking and making sure you get adequate sleep can all help to improve your sensitivity to insulin. The overall consensus amongst medical experts is that too much abdominal fat around the organs, (known as visceral fat) is one of the main causes of insulin resistance. Having a waist measurement that exceeds 40 inches (for a man) and 35 inches (for a woman) is linked to insulin resistance. The fat that is deposited around the central organs acts as a storage depot for energy but is also involved in making hormones and other substances that are thought to contribute to chronic inflammation in the body. Inflammation is considered a key factor in insulin resistance and type 2 diabetes. If you are overweight or think you are carrying too much weight around the middle, losing weight is a positive move towards improving your insulin sensitivity. A sedentary lifestyle is also linked to insulin resistance. Regular exercise has positive effects on the body, helping it to keep blood glucose levels balanced. Muscle contractions have been shown to stimulate glucose uptake, this action is enhanced by the added effects of insulin. 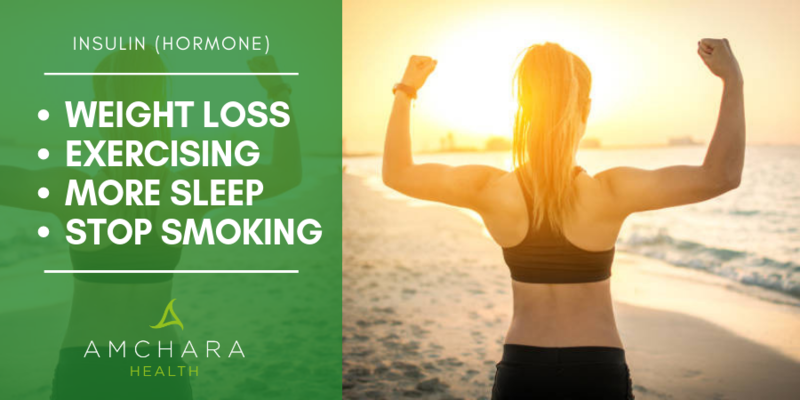 Previous research has shown that any period of sleep that is less than 6 hours per night, leads to an increase in hunger hormones and decreases the hormones that make you feel full up. It also increases the levels of cortisol, which triggers inflammation. Adequate sleep is therefore essential for maintaining normal blood sugar levels and reducing the risk of insulin resistance and diabetes. Cigarette smoking is associated with insulin resistance. If your blood sugar levels don’t continually fluctuate, then your pancreas doesn’t have to keep producing more insulin. The key is to try and maintain normal blood sugar levels throughout the day. This should improve glucose metabolism and thus reduce insulin resistance. Your body gets its sugar supply from carbohydrate foods. These are broken down to glucose which is then absorbed into the bloodstream and carried around the body to the cells which need energy. The rate of glucose absorption into the bloodstream depends on how quickly the carbohydrates can be broken down. Factors such as how refined the food is (e.g. icing sugar, white flour) and its fibre content will affect this process. If you consume foods that are high in refined sugars (such as chocolate, white bread, white rice, potatoes, crisps, pastry and biscuits) then the glucose from these foods will be absorbed into the blood very rapidly. If your diet consists mostly of these types of carbohydrates, the pancreas has to work very hard to produce lots of insulin in order to regulate glucose levels in the blood. This can result in your blood sugar levels falling too low. When the levels fall too low, your body craves sugar in an effort to return your blood sugar levels back into the normal range. At these times you might find yourself reaching for a “sugary fix” - a biscuit or chocolate bar etc. And so, the cycle of sugar highs and lows begins, and symptoms of hypoglycaemia may be experienced. Unfortunately, the more this cycle continues, the more you are over-stimulating the pancreas to produce insulin. Eventually, the pancreas can become exhausted and instead of producing too much insulin it produces too little. This can result in high levels of sugar in the blood and the symptoms of hyperglycaemia may be experienced. Avoid simple sugars (foods with sucrose or glucose). This includes products such as tomato ketchup, baked beans, cereals, honey, chocolate etc. Check food labels - many products contain hidden sugars, including some surprising ones such as roasted chicken. You also need to be aware that many low-fat items have high levels of sugar, used to replace the taste lost when the fat is reduced. Avoid processed/refined carbohydrates - replace them with complex carbohydrates such as wholegrain flours, brown rice, vegetables, beans, pulses, lentils etc. This means avoiding many convenience foods as they are likely to contain refined carbohydrates. Avoid caffeinated drinks such as tea, coffee and cola - these are stimulants and can trigger your adrenal glands to produce adrenaline which promotes the rise of sugar levels. Insulin then kicks in and blood sugar can plummet again, beginning the cycle of highs and lows. Good alternatives include herbal teas, barley coffee and plenty of water. Avoid alcohol - this produces very strong swings in blood sugar levels and may aggravate hypoglycaemia. Eat more high fibre foods - fibre slows the absorption of sugar from food, particularly water-soluble fibre as found in legumes, oat bran, apples, pears and most vegetables. Eat more quality protein - protein slows sugar absorption and can reduce stress on the pancreas. It should be eaten at every meal. Good sources are fish, chicken, lean meat, nuts, beans, lentils, quinoa and seeds. Decrease intake of dried fruits - which are high in sugar and low in fibre. Have you had to cope with insulin resistance? What changes in nutrition and lifestyle worked for you to increase your sensitivity to insulin? We’d love to hear about your successes, why not share it in our comments box below. Can You Really Reverse Type 2 Diabetes With A Raw Food Diet?